My sweet daughter was dressed all in white. Her adorable smile filled my heart with unspeakable happiness. The blessing day ran wonderfully. From prepping in the morning, diaper changes, outfit changes, feedings, the actual blessing and the dinner, I still cannot believe what a great day we had. Recently, I started questioning what made the day run so smoothly. I'm hoping my future children will have blessing days that run peacefully like my first baby. 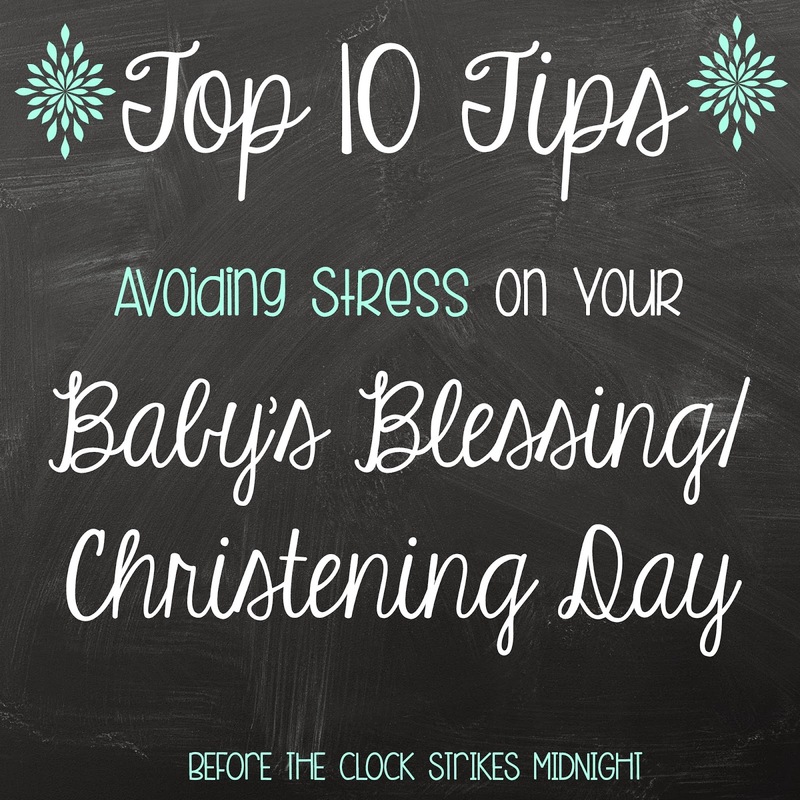 The list below are the best steps to take when preparing and what to do on your baby's blessing/christening day. This may seem obvious, but on this important day other important details will cross your mind. Do yourself a favor and avoid an explosion! (I've seen that happen...). The closer you can get to the blessing, THE BETTER. Feed your baby close to the blessing. Again this may seem obvious, but many babies cry during the blessing out of hunger or a wet/poopy diaper. Scheduling your baby's feedings around the blessing (kind of a hassle to change a routine, but it's worth it) will make your role much easier. When in doubt carry a bottle of milk that is ready to go. If your baby starts crying the pacifier is an easy fix! You can find cute baby pacifiers for blessing days on Etsy and DIY Binkie projects on Pinterest. Don't forget a pacifier! To avoid spit-up and diaper explosions make sure to change your baby into their blessing outfit after the last feeding before the blessing. This tip saved my sanity at my daughters blessing. Crochet baby shoes, blanket or hat. Sew a baby blanket for his/her christening/blessing day. Make a baby bow tie using a white tie from your husband to add a personal touch. You may feel like everything under control, but don't overwork yourself. Call friends and family members to help with the lunch/dinner celebration after. Taking care of a newborn is tedious work that will leave you tired, busy and hungry. Don't overwork yourself! 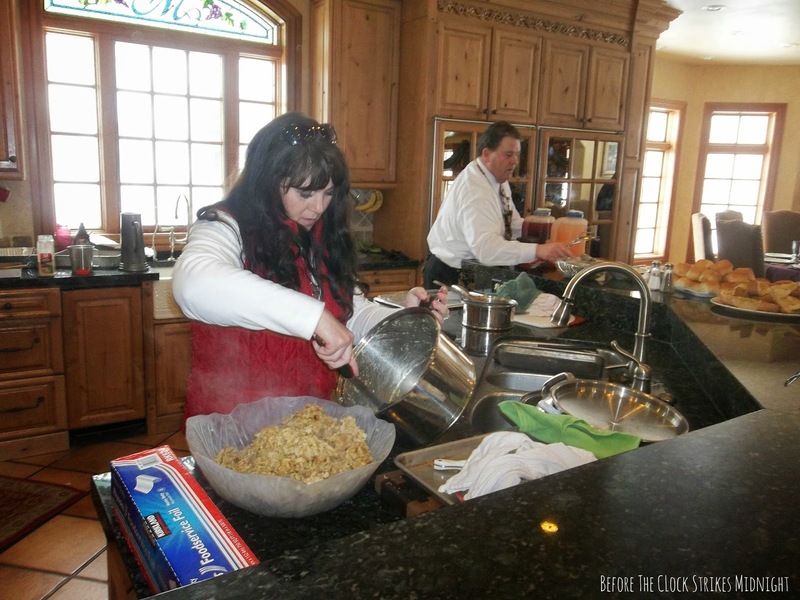 Family and friends love to help! The less things to do the better you will feel during the blessing. My in-laws are AWESOME! They planned and made the meal, while I was frantically nervous trying to take care of the baby. My side of the family also brought food to the big day too. Without both sides of the family, I would have been a nervous wreck. Seriously, what wonderful people! Love them! Have a family or friend member be the designated photographer (no they don't have to be professional). This takes the stress off you and the hubs. Enjoy the day! Have friends write down bits and pieces they remember from the blessing/christening. Don't forget even though you are inside babies are much smaller and can become colder quite easily. In summer bring a light blanket, in fall, winter and spring bring a cardigan. Prevent your baby from being cold to help them enjoy the big day. It doesn't matter whether you write your emotions in a journal or on a blog. What does matter is capturing those precious memories. What a joyous day! On my daughter's blessing day, my heart melted in the warmth of God's Love. 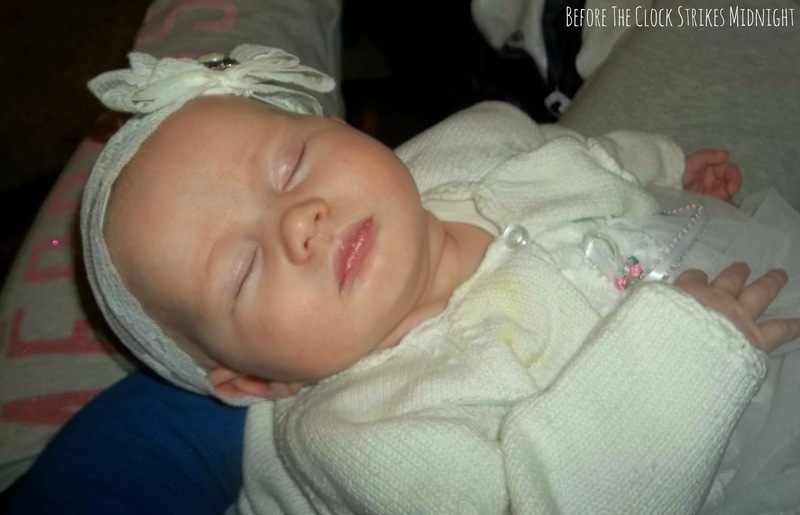 Take thirty minutes to reflect, write, pray and thank God for your beautiful baby. Your son/daughter will thank you for taking the time to write down bits an pieces of the day. Best wishes on your Baby's Blessing/Christening Day! P.S. 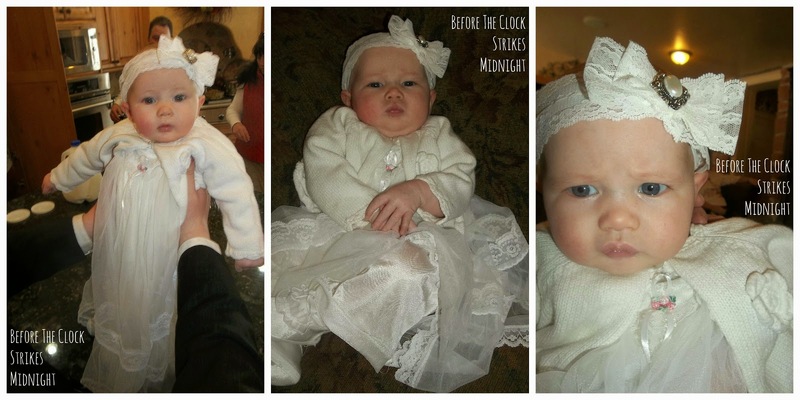 Make sure to watch for my free printables Baby's Blessing or Christening Day! I love the idea to add love and creativity. What a cute bow you made from your wedding dress! I think it is so important to also ask someone to take pictures. I always seem to be the one taking pictures and it means I am in less of them and I have to stress about other things as well. Thanks, but I cannot take credit my Mother actually made the bow. She is a sweetie! Isn't it sad how Mothers are always the photographers and they're in little to no pictures. We must change that ;) Thanks for visiting! Thanks! Love my little girl! Glad you enjoyed the tips :) Have a great week! Smart idea! That beats trying to write the words down during the blessing :) Thanks for visiting! 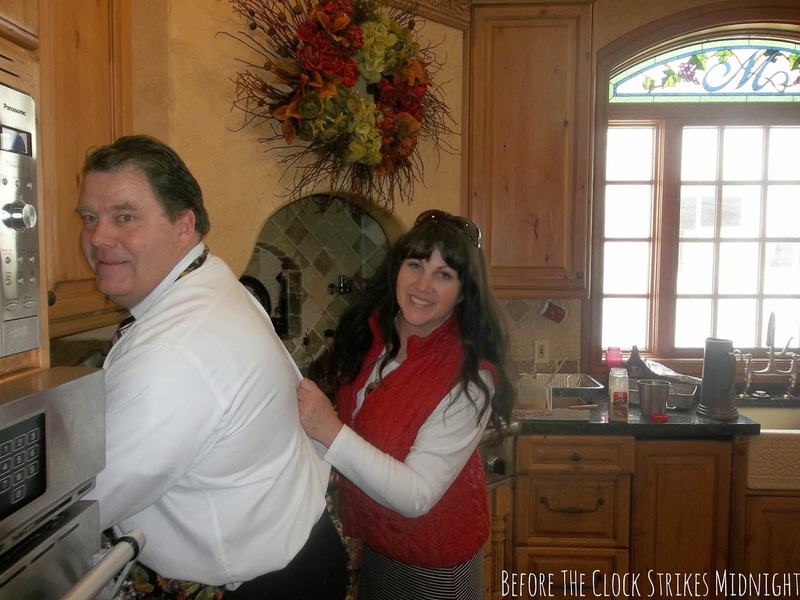 What great tips to make the day run smoothly! :-) Saying hello from the making Monday link party! Some great ideas here! Also want to mention one other thought. 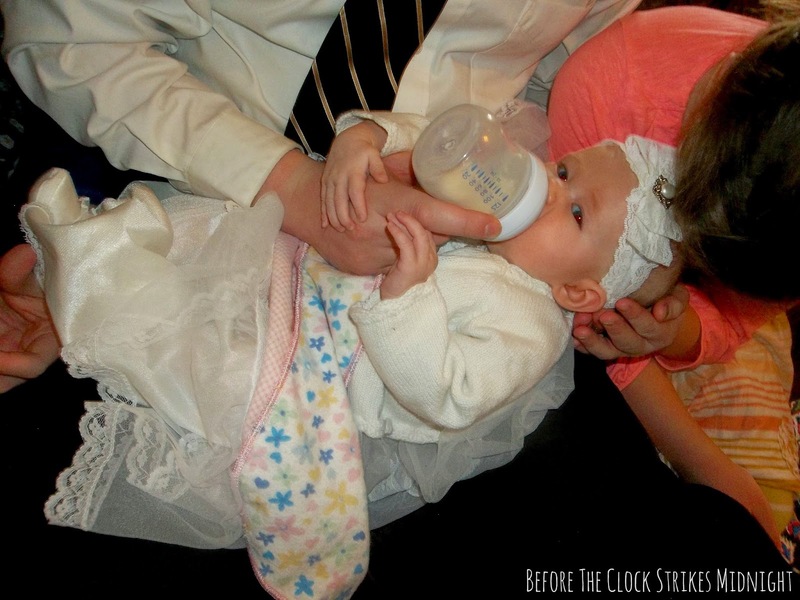 Check with your bishop a few weeks in advance to see if the mom can hold her baby during the blessing. There is nothing prohibiting it in the handbook and some stake presidents are allowing it (including mine) if the mother wants is interested in doing so. A few years ago there was one time the microphone didn't work and the mom (who was sitting with their two other children) missed the whole blessing because it couldn't be heard. I felt sick for her. If she had been up there she could have heard. My VT companion who is from England said it was normal in her ward for decades for moms to hold their babies. Just a tradition here for the dads to do the holding *and* the blessing. Aww...your baby is beautiful. These are excellent tips for any important occasion. Thanks for sharing at the #HomeMattersParty :) Hope to see you again next week.